Thin and Thick Loon Outdoors UV cure acrylic. Step1: Place hook in vise, lay down a thread base and wrap wire around hook shank. Step 2. Use a piece of Ultra hair about ½ the thickness of a pencil. Mix with six or seven strands of Krystal Flash; cut into two pieces, one 2/3 length and the other 1/3 length. Tie in the longer piece ultra hair, K Flash mix on top of hook shank/wire to form the tail. Step 3. Move thread to 2/3 way up hook shank and tie in eyes. I prefer Puglissi crab/shrimp eyes, but you can make your own. Position eyes so they are facing forward and up. Secure in position with a small dab of thin UV cure acrylic. Step 4: Dub body with a small amount of tan dry fly dubbing. Tie in rubber legs on the underside of the fly. Step 5. Wind thread to rear of shank where the hook bend begins. Tie in the shorter piece of Ultra Hair/K flash mix on top of the shank so there is one to two inches of hair blend extending beyond the hook eye and a short section extending back over the tail. Tie off at hook bend, whip finish and cut thread. Step 4: Take piece of hair blend extending beyond the hook eye, lift it up, and coat the underside of the hair blend and the top and side of the dubbed body with thin UV cure acrylic. Place and hold hair blend on top of the body and cure. Step 5: Building horn and body: Take thick acrylic and coat the top of the body and the top of the material extending over the hook eye. Cure. Trim hair blend extending over hook eye to imitate the horn. Continue building body by adding and curing successive layers of thick acrylic to the top and sides of the fly until you are satisfied it accurately represents a shrimp. As you add the acrylic, you can rotate and move the fly in your hand to distribute the acrylic evenly before curing it. Step 6. Determine the length of tail you want. Hold tail in one hand and wrap mono thread around where you want the flared part of the tail to begin. After wrapping, continue holding the hair blend. Fan out the hair blend to make a tail. Dab a little thin acrylic on the thread and cure. Color tips of tail with chartreuse or black magic marger. Cut evenly to size. Step 7. Rub fly with alcohol to take away sticky residue. This is optional, but I like to do it, put the fly in the sun for 30 minutes to complete curing. Completed Capt. Dave's Ultra Hair Shrimp. Note: When tying this fly for triple tail, I do not add the wire, and I add a stinger hook in the tail by tying a smaller stinger hook to 20 lb mono and lashing the mono to the main hook shank with tying thread, then coating and curing it with UV acrylic. September: 9/4, 14-22 (18-22 morning tides) (9/17, 20 and 22 already booked) These should be the best days of the year. October: 4-10 16, 18-22. Oct 4,5,6 and 7 are booked. The first of the month should be better. Water tends to get a little too cool the end of October. Keith and Colin have a tradition where Father and Son take a trip together each year. With Mom's help, Colin plans the trip, and he and his Dad go together for some quality time. This year, Colin planned a trip to St. Simons to go fishing. When I asked him why, he said, "I love to fish." He is a young man after my own heart. Colin is one of the most polite and enthusiastic young people I have ever met. Both he and Keith had a blast. div style="text-align: left; font-size: 14pt;" align="left">Even though the shrimpers have been pulling tight to the beach in front of Jekyll, a few triple tail are still floating around out there. The bulk of the triple tail fishing is now around markers when the tide is either dead high or dead low. Some excellent catches are reported with live shrimp beneath float rigs. You can catch some on fly by stripping a well placed clouser or Capt. Dave's Ultra Hair shrimp close to the markers. If you hook one, hang on and have your buddy pull you away from the pole, or the TT will immediately wrap around the pole or chain and break you off. These fish are particularly good to eat, but only eat a few, and throw the REALLY big ones back. Catches of fish over 20 lbs are being reported daily. The sight fishing for red fish is good on the low tide when the tides are early in the morning. Last week, I fished Rashada on an early morning low tide trip, and we were treated to nice schools finning and tailing on the low tide. 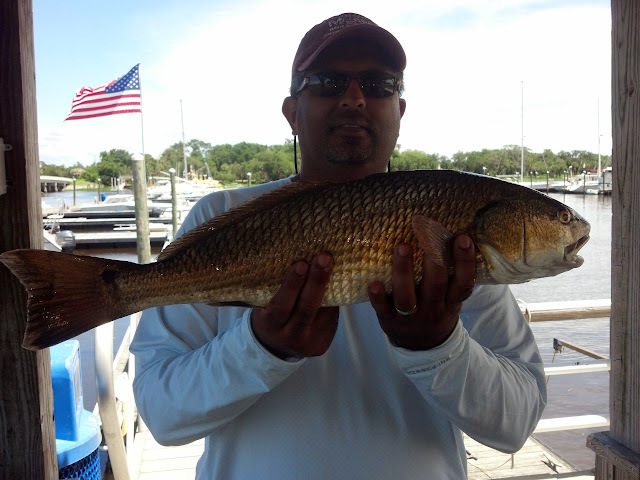 Rashada connected with a nice 22" low tide red fish. 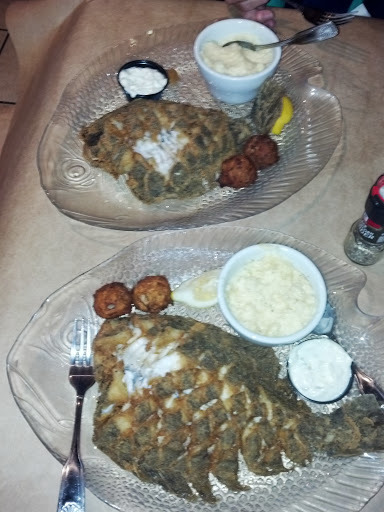 He had never had red fish, so this slot fish turned into blackened red fish. 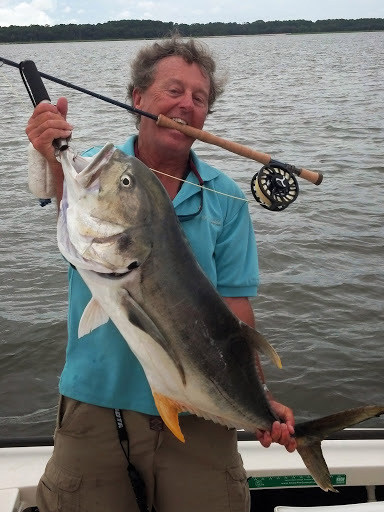 The big new is the big Jack Crevalle showed up in the sound. These are world class fish, averaging 25-30 lbs. 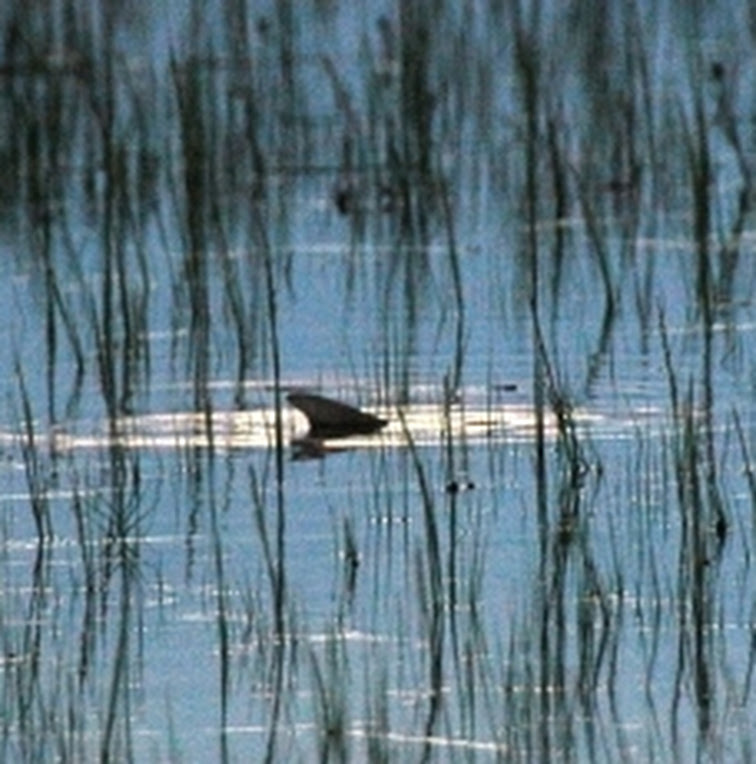 The fish push into our sound when the water is clear on mid and higher incoming tides. I went out with my new Orvis 11 wt. Helios 2 w/ Mirage reel and cast to a few schools. I hooked up with a nice 30 lbr. I put the heat on him, and whipped him in 15 minutes. These fish come and go. If you want to try for one, let me know, and the next time they are here, I will call, but you need to come within a day. 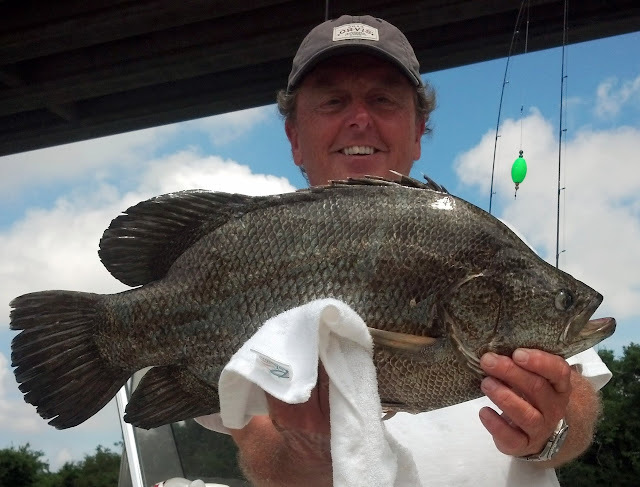 There is a legitimate chance to catch a new state record this summer. Let's do it on the fly!!! Capt. Larry is continuing re-hab in an effort to regain some use of his left side. When he is able, he comes into the shop to help the fly fishers. Ellen is working hard to keep the shop well stocked. She has a good selection of the latest Columbia Omni Freeze Zero clothing. This amazing technical fabric enhances the cooling characteristics of evaporating sweat. It is great for August in St. Simons. She has a good selection of Hatch reels, Yeti coolers and Stick-it pins. She also has beginner fly fishing combos by Redington, Rio Lines as well as rods and reels by Orvis and TFO. Ellen and Larry's Semper Fi fly tyer has started tying some of my patterns. Ellen is having a hard time keeping the Purple Passion and the Chartreuse Passion in stock. The Purple Passion works on the flood tides and the low tides. 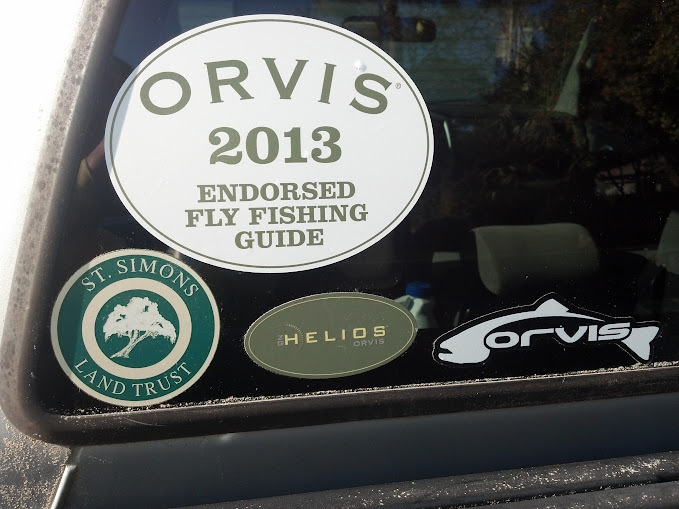 If you are going to fly fish in St. Simons, go by St. Simons Outfitters, pick up a few and catch some fish.